Can analytics help fix the DCF? Experts presented information on predictive analytics to the Commission to Eliminate Child Abuse and Neglect Fatalities at the Children&apos;s Board of Hillsborough County in July 2014 in Tampa, Fla.
TAMPA — They had been summoned to a windowless conference room to defend their handling of the case of a teen mother who had failed to give her 2-year-old daughter the seizure medication she needed. The two social workers sat stiffly at a bare table as their supervisors ticked off a list of steps they should take to ensure the girl would not be neglected again: Monitor medicine doses. Push the mother to enroll the girl in day care. Make unannounced visits to the father’s home, where the girl spends weekends. There are more than 3,000 open child abuse cases in Florida’s Hillsborough County. So why were they spending so much time on this one little girl? Because a computer algorithm told them to. As Massachusetts embarks once again on an effort to fix its troubled child welfare agency, debate has swirled around nuts-and-bolts solutions such as more staffing and updated policies. But increasingly, child welfare professionals around the country are turning to sophisticated computer models to help them predict which children are most likely to suffer abuse. Those households then get closer scrutiny. Bella Bond was in many ways a typical toddler. But her young life was hanging by a thread. The approach, known as predictive analytics, has already swept through the corporate, sports, and political worlds. It helps Netflix know which movies its customers want, Olive Garden forecast when it will need extra staff, and baseball teams predict what a pitcher is likely to throw next. 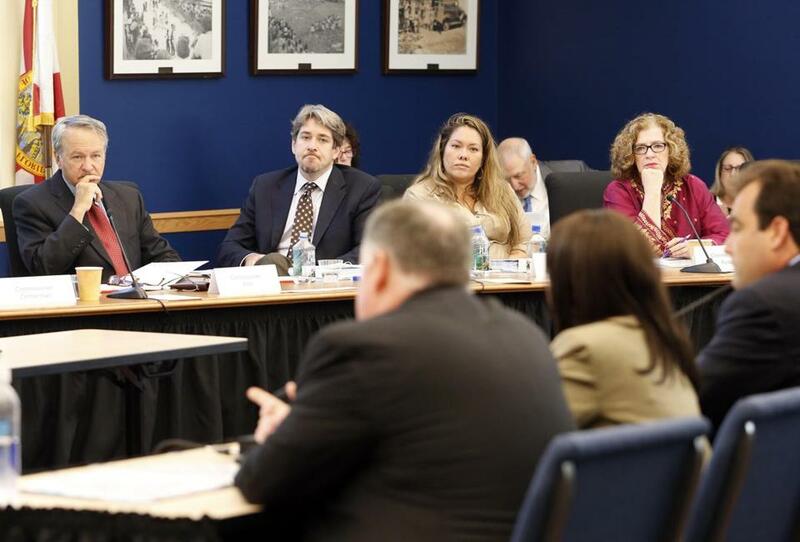 Now, building on the computer system pioneered in Hillsborough County, five states, including Maine and Connecticut, as well as Allegheny County, Pennsylvania, are adopting similar models for their child protective services. Massachusetts is also considering the approach, according to Linda Spears, commissioner of the state Department of Children and Families, who called analytics intriguing but relatively untested. Supporters see data-driven predictions as a new frontier that could help overwhelmed social workers prioritize the most important cases and target scarce services to the children most at risk. In Hillsborough County, which includes Tampa, no children in the child welfare system have died from abuse since January 2013, when the county launched its system, called Rapid Safety Feedback, to focus attention on the children who need it most. That is a dramatic improvement from the previous two years, when nine children with open abuse cases in the county were killed, including a 4-month-old who was thrown from a car onto the highway. 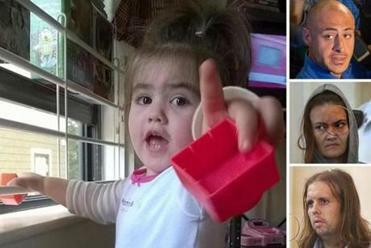 In the case of the 2-year-old who needed seizure medication, she was automatically flagged by the computer system because she was under 3, her mother was young, there was a history of neglect in the home, and she was not in day care, meaning there was no one outside the family keeping an eye on her. Those are common factors in many child abuse cases. “All this does is say you should look at it, have a heightened review, and a second set of eyes,” said Bryan Lindert, senior quality director at Eckerd, the nonprofit agency that developed the system. But critics say that allowing a computer model to determine which children should be more closely tracked by protective services represents an Orwellian expansion of government power. They point out that newer computer systems, like the one about to be launched in Allegheny County, can base their predictions on vast tracts of data mined from the criminal justice, Medicaid, and drug treatment systems. Critics worry that African-American, Hispanic, and poor parents could have their children unfairly targeted for removal or monitoring merely because the computer models suggest their race, incomes, or criminal records make them more likely to commit child abuse in the future. Officials who embrace the model say they use the predictions only to help them decide which children merit closer scrutiny, one of the most difficult decisions they face. Still, she acknowledged a danger in giving workers a computer-generated “risk score” to help them assess complex and volatile families. “Humans like shortcuts, so when they see this number they might short-circuit their own professional judgment,” she said. In Hillsborough County, officials developed their computer model by studying 1,500 local child abuse cases, including the nine children who died. The review showed the cases often involved a young child, a boyfriend in the home, drug use or domestic violence, and a parent who had been in foster care as a child. Now, any time an abuse case matches those factors, it is singled out by the computer system and subjected to a regular review by a quality assurance team, which scrutinizes the response by the front-line social workers. “We’ve been able to narrow down which cases are high risk, and stop doing cookie-cutter supervision,” said Paul Penhale, a case management supervisor at Gulf Coast Jewish Family & Community Services. In Pennsylvania’s Allegheny County, which includes Pittsburgh, officials are pushing the model further, foreshadowing the seemingly boundless ways that data can be used to reshape the child welfare field. Starting later this year, when a call comes into the child abuse hotline there, call screeners will enter the alleged perpetrator’s name, address, or Social Security number into a computer. The computer will then instantly search dozens of records — not only for that person, but for others in the household. The person will then be assigned a higher “risk score” if they or others in the home have a criminal record, have been in drug or alcohol rehab, have received mental health counseling, have been in prison, or were in the child welfare system when they were young. The system can also access school records, so frequent absences will raise a red flag. Allegheny County is building the system because several children there died after calls reporting abuse were “screened out” as too vague, said Marc Cherna, the county director of human services. Researchers later determined that if the perpetrators’ identifying information had been entered into the computer system, they would have been given a high “risk score,” and “screened in” for an investigation. “It’s a tool to make sure we are actually seeing everybody who needs to be seen,” Cherna said. Researchers say risk scores would be even more powerful if they were used to help parents who have never been accused of abuse, a fairly radical concept sure to trigger concerns about government overreach. Cherna said Allegheny County could, for example, identify young mothers who have used drugs and are former foster children, factors that make their children statistically more likely to suffer from abuse. Officials could then recommend that they receive in-home nurses’ visits. Some say officials could intervene even earlier. Because research has shown that a woman’s age, lack of prenatal care, and level of education are among the predictors that her child will be abused by age 5, “prenatal risk assessments could be used to identify children at risk of maltreatment while still in the womb,” Emily Putnam-Hornstein and Barbara Needell, of the University of California-Berkeley, wrote in a 2011 paper. If those pregnant women were then targeted for prenatal care or free parenting classes, it could prevent abuse years down the line, researchers say.